BEN Ngubane has resigned as chairman of Eskom, said BusinessLive citing an announcement by Public Enterprises minister, Lynne Brown on Monday evening. Ngubane’s departure from the power utility company, some 20 months after his permanent appointment, follows a directive by Brown to rescind the re-appointment of Brian Molefe as Eskom CEO who Ngubane staunchly defended. Brown said she had appointed Zethembe Khoza as acting chairman until she could take new board appointments to Cabinet for approval. Eskom is due to hold its annual general meeting later this month. Ngubane was named by former mines minister Ngoako Ramatlhodi as having pressurised him to suspend the mining licences of Glencore in an effort to force it to put its Optimum Coal Mines into business rescue. Ngubane rejected the allegation. The removal of Ngubane is likely to be prelude to another board overhaul at Eskom which has struggled to put together a stable leadership for at least the last seven years. 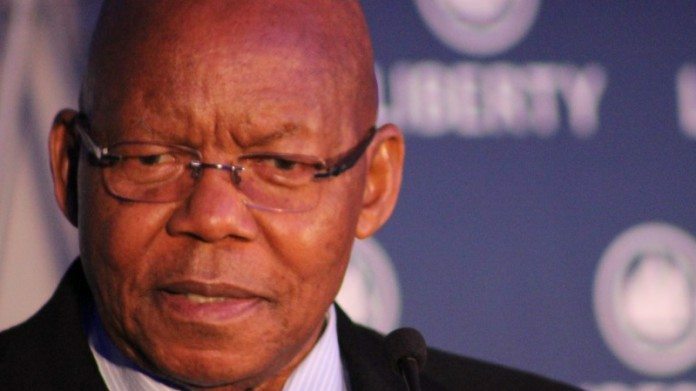 Following the resignation of Brian Dames in December 2013, there have been four different CEOs starting with Colin Matjila, who held the post on an interim basis before Tshediso Matona’s short-lived reign from 2014 to 2015. Brian Molefe was appointed in September 2015 until his departure/resignation/retirement just over a year later. Matshela Koko was briefly acting CEO until Molefe returned for a month before having his re-appointment rescinded. The National Union of Mineworkers welcomed Ngubane’s resignation and called on the utility’s remaining board members to also step down. “They are a disgrace to both Eskom and Government,” it said. It was a demand repeated by the South African Federation of Trade Unions (SAFTU), led by general-secretary, Zwelinzima Vavi, who commented: “SAFTU repeats its demand for the resignation of the entire board and a new and democratically accountable board appointed, with workers and community participation”. The Democratic Alliance said Ngubane still had to answer for his chairmanship of Eskom. “Ngubane’s resignation will not exonerate him from liability for the breakdown of governance at the power utility, and the DA will use the Parliamentary Inquiry into Eskom, set to commence on June 21, to hold Ngubane to account,” said DA spokeswoman on public enterprises, Natasha Mazzone. I was waiting for this day…. Those who think they can still align themselves to a new order are busy jumping ship. Next step will be to turn state witness against the hand that fed them up to now. Everyone on the periphery who were just puppets up to now are going to do what is needed to save themselves. Dog eats dog.